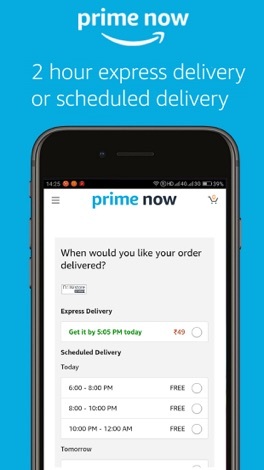 Shop online on the Amazon Prime Now app to get grocery & other daily essentials delivered to your doorstep within 2 hours. Now you don’t need to carry heavy grocery shopping bags around! Daily essentials delivered on your schedule: Get 2 hour express delivery. With Amazon’s fast & reliable delivery, you know your grocery will reach you on time! You can also choose to get scheduled delivery in any 2 hour slot between 10 am & 10 pm, on the same or the next day. Save big every day: Get exclusive deals on the best products. As part of our launch promotions you can get cashbacks on your 1st order! This is in addition to all the fabulous discounts that our sellers have on offer everyday. 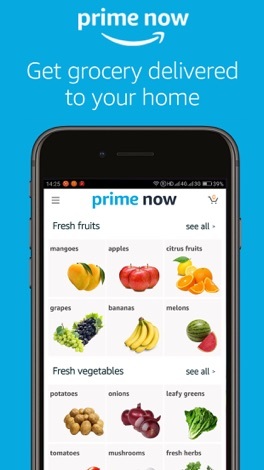 Your favorite neighborhood grocery shops are now selling online on the Amazon Prime Now app. 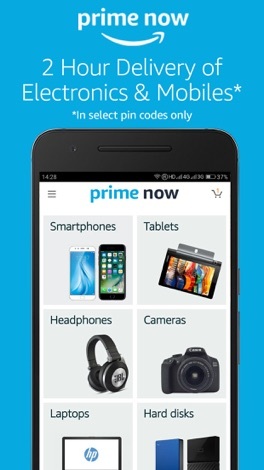 Why visit multiple stores to get all the items in your grocery list when you can relax at home & shop online using Amazon Prime Now! 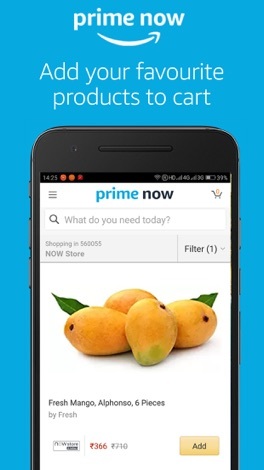 With the Amazon Prime Now shopping app, you get thousands of daily items - fresh vegetables, fruits, bread, egg & dairy items, cooking essentials, personal care essentials, snacks & beverages, easy meals & mixes, chocolates, pastas & noodles, household supplies, healthcare essentials, baby care, make-up, beauty & gourmet products and electronics delivered to you within 2 hours! We have a wide selection of all the brands you love to shop for, including products from Patanjali, Nestle Maggi, Surf Excel, Haldiram, Dove, Aashirvaad, Golden Harvest, Nandini, Kelloggs, Brittannia, MTR & many more. So however unique your grocery list might be there is a good chance you will find your favorite brand of Dal, Oil, Biscuits, Milk, Oil etc. while shopping online on Amazon Prime Now. All of this is backed with the peace of mind that comes from Amazon’s trusted return policy. At the time of delivery you can reject items that are no longer wanted or not as expected. You can also claim a full refund on expired or defective products at any time within 10 days of delivery. 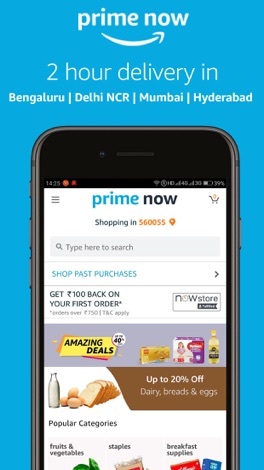 The Amazon Prime Now Grocery Shopping app is currently available in select pin codes across Bengaluru, Delhi-NCR, Mumbai & Hyderabad. This app is for members of the Tacoma Police Union. It is intended to help members keep abreast of what's going on in their union and provide a method for two-way communication between membership and the executive board. Members can also receive alerts of critical incidents and other important news.